We all like ice cubes in our refreshments in the hot summer months, but finding your evaporator coil frozen into a block of ice, is never a welcome sign. Not only will a frozen evaporator coil prevent the central ac or heat pump system from working properly (or at all) it will block all airflow to your supply vents, and in many cases, require a visit from a qualified repair technician. In out last article, we shared basic estimates of the cost to replace an evaporator coil. In this Charlotte HVAC Guide article about troubleshooting your homes central air conditioning, we’re going to help you understand what you need to do when the evaporator coil freezes on your home cooling system. We’ll also share tips to stop it from freezing in the future, and tell you what to do before calling out a service company. If you prefer to skip the handy work and simply get a qualified company out to repair the system, you can get free competitive quotes from qualified contractors in Charlotte, or Your Own Area now. The very first thing you need to when the coil freezes on your air conditioner is shut the unit off! Go to your thermostat on the wall and change it from cooling, to the off position. Do not turn it to warm, or do anything else yet… your system froze for a reason and you need to figure it our before something else fails and causes a higher hvac repair cost. If changing the thermostat does not completely shut off the system within the next 1-2 minutes, head to your circuit panel and shut the circuit breaker for the system off. You may have a faulty electric contactor on the outside unit, causing it to stay in the “on” position, and run continuously. Now that the system is shut off and no longer running, you can check the following areas for problems. Even if this is the only problem you find, you should still allow time for your coil to thaw out before turning it back on. A blockage of ice is going to limit airflow in your system and can result in other very expensive repair if it causes compressor failure, evaporator coil failure, or worse! It’s only an hour or two… you can wait. Look at your system to be sure there are no Air Bear or 3-4″ thicker filter boxes directly attached at the furnace or air handler. If the thermostat doesn’t seem to be reacting to what you are telling it to do like shut off, fan only, etc… it may have failed. Acme DIY has a method for testing your home thermostat by opening it up and touching a few of the wires together, if you want to tackle the project yourself. As always, understand there is a risk involved with DIY, and we always recommend having a pro check out your system. While it seems like this would be the opposite reason for an AC coil to freeze, low refrigerant (check r22 recharge cost), or an improperly charge unit often leads to ice forming on the unit. 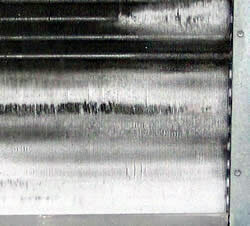 Only a qualified technician with the right tools who is authorized to handle refrigerant gases can check this for you. Learn how to estimate the amount of refrigerant in your ac or heat pump system. Much like a dirty air filter above, restricted airflow can also cause your coil to freeze up. Airflow is the lifeblood of your home HVAC system and things like crushed flexible duct, blocked vents or closed vent louver grills can just as often cause the airflow to be disrupted enough that it causes the system to break. If the blower motor or blower wheel itself on your furnace or air handler is not working properly, it’s not going to provide the airflow across the coil that your system needs to complete the thermal transfer process from the refrigerant to the air. If you hear the unit starting up normally, but the fan never comes on to blow air out of the vents in your home, the blower motor needs to be checked out. If everything else on your central air conditioner has been turned off but the outside unit just stays running, you likely have a bad contactor on the unit. Opening the side panel of the central ac condensing unit is very dangerous and contains high voltage electric wiring,. only trained technicians with the proper tools should perform this type of service. The contactor on most systems is a spring-loaded device that transfers the power and tells the system to turn on. When contactors go bad, they usually weld into the closed position, thus leaving the power turned on all the time. Another reason your ac coil freezes is due to having an improperly sized complete system. Central HVAC units should be matched to each other in order to work properly. In other words, if you have a 3 ton condensing unit and coil installed, but the blower on the furnace or air handler is only big enough to move 800 cfm, you will lack the airflow to properly remove the freezing cold temps from the refrigerant as it passes through the coil. 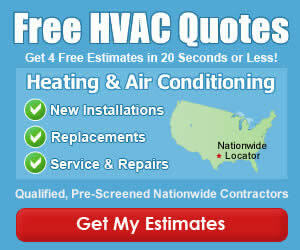 The bottom line is that the cost to replace your central air conditioner system is not cheap. When it breaks down, you should take care during the troubleshooting so you don’t cause further damages, and always call out a professional, even if you get it working again, to make sure its done right!